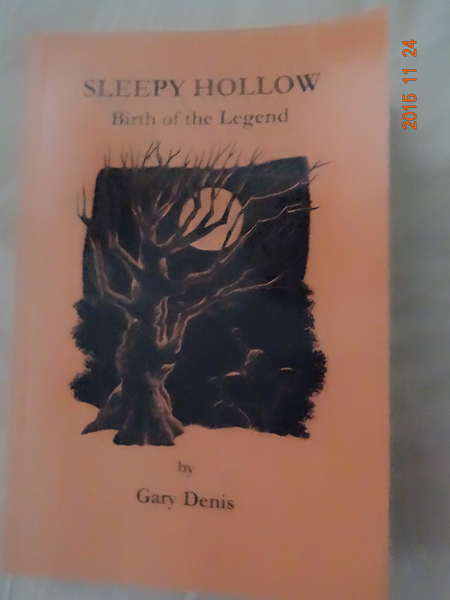 This entry was posted in History and tagged 9781511645461, Book Reviews, Gary Denis, Legend of Sleepy Hollow, Sleepy Hollow (N.Y.), Sleepy Hollow New York, Sleepy Hollow: Birth of a Legend, Tarrytown (N.Y.), Tarrytown New York, Washington Irving. Bookmark the permalink. I don’t know how I missed it, but I only now came across your review of my book. Thank you so much! You hit it right on the head when you said it was a book for “true fans of Irving’s story” — that was my target audience, exactly. This book was a true “labor of love,” and I thoroughly enjoyed the research it involved. I loved that you called it “a fun book” — I certainly had FUN researching and writing it! Thanks again!